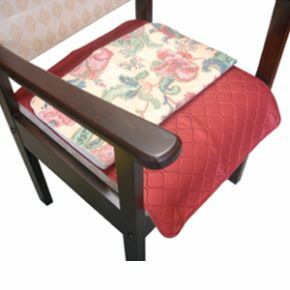 This reusable chair protector pad is specially designed to look and feel like a normal seat cover to preserve user dignity. Manufactured from a superior absorbent, stay-dry material with a slip resistant backing, the pads protect both user and seating. Can be used on armchairs or in the car when travelling. Designed for light to moderate incontinence, these pads are machine washable. Fits neatly on armchair and protects it against any minor problems. Good, speedy service from supplier. Thank you for your excellent service and good quality product.